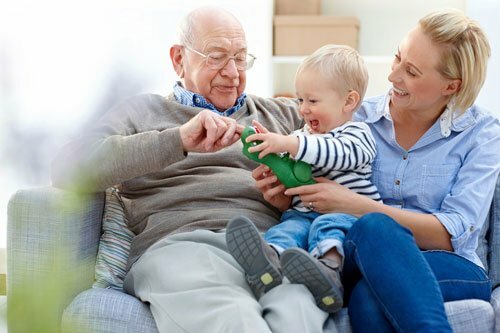 Inheriting a home is a pretty sweet experience, yet bitter at the same time… You are left with great property value you can use to improve your life, but you are still mourning the loss of a loved one. So you may ask yourself at this point “what are the tax consequences when selling a house I inherited ?” The tax laws have been designed in a way they will not add any more burden unto you upon inheriting the property. This implies that the financial consequences are less daunting than what you would expect, which is good news for you. In order to comprehend how you’ll be taxed having inherited a home, you need to know how basis is calculated. “Basis” means an asset’s cost for tax purposes. To determine whether you have a profit or less when you sell an asset, you subtract its basis from the sale price. If you have a positive number, you have a gain. If you have a negative number, you have a loss. When a person dies, the value or basis of their property is increased to the market value as at the time of their death. This is called the “stepped-up basis.” For instance, if a person purchased a home 20 years ago for $25,000 but it was worth $100,000 at the time of their death, that property would be valued at the latter amount for the purpose of calculating capital gains. Redfin has additional resources that may be helpful in understanding this piece. Capital gains or losses refer to what you earn from selling property that you use for either personal or investment purposes. Such can be houses, furniture and many more things. If you decide to sell an inherited home, that sale is regarded as capital gain or loss for the purpose of income tax. In most cases, for you to qualify for lower rates of long-term capital gains, you are required to have held that property for at least a year. However long the duration you have been in ownership of an inherited home, any gain or loss will still be treated as long-term. You might have to go through the probate process if your relative died without a will. Once the court authorizes you to proceed, you may ready the house for sale. If there are any other individuals involved in the inheritance, you should first agree with each other on that decision. Upon selling an inherited home, you have to report it for the income tax purposes. You should first calculate your capital gain or loss. This is done by subtracting the basis from the sale amount. You should then report that amount to the necessary tax authorities. Having an inherited home can be stressful given the fact that you have new property to take care of and pay taxes for it at the same time. If you want to know more about the tax consequences of selling an inherited house, we would be happy to discuss it with you in more detail. In addition, you might consider selling the property to an investor for a fast, easy and private sale. Visit our About page or How it Works to learn more.